I had grand plans to have my muslin for my Chanel-like jacket already done by now, but when I was setting that goal for myself I completely forgot that the Summer Olympics were coming on! I am an Olympic nut, have been since I was a child, equally love both the Summer and Winter Olympics, and find myself glued to the TV every night between 8pm and midnight to watch whatever sport NBC is covering. Which has been quite unfortunate for my Chanel jacket plans. Before the Olympics started I did manage to get all the pieces cut out and marked, ready for thread tracing and then stitching. Why yes, I DID use a Chanel bio as a paperweight when tracing the muslin. I will let you in on a little secret. I have never made a muslin before and I have no idea what I’m doing. I’m going by what I learned from Susan Khalje’s class “The Couture Dress” which I took earlier this year on Craftsy. So far so good. I have been gathering supplies so I bought black silk organza for the sew-in interfacing (just $8 at Chic Fabrics in NYC! ), and I also picked up silk thread for the basting I will eventually be doing. 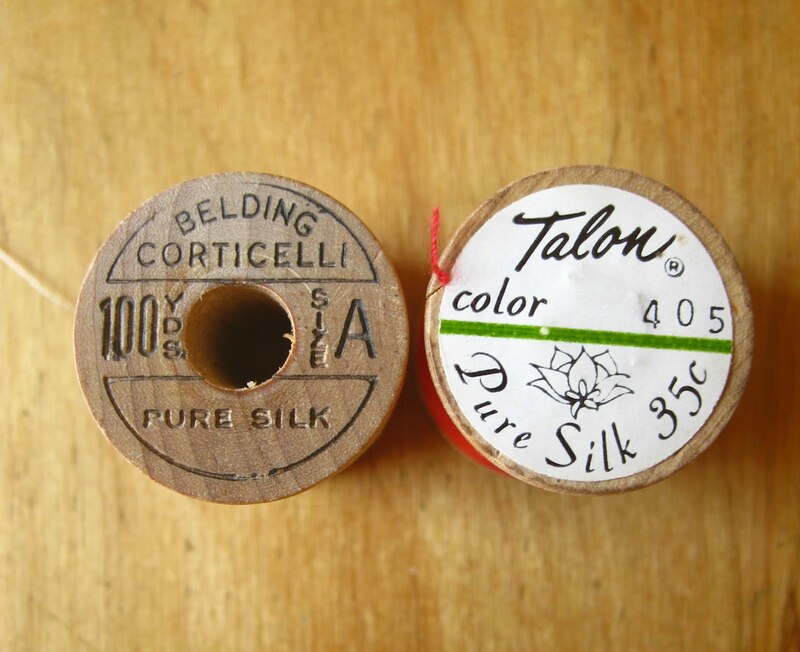 I got these vintage spools of Belding Corticelli and Talon silk thread on eBay for a great price. Susan Khalje said Belding Corticelli in Size A was particularly wonderful to work with and I thought cream and red would be great colors against black or blue fabric. Speaking of fabric, a recent scan of Mood’s website showed that the Oscar de la Renta bouclé I liked is gone, so I’m back to square one in the hunt for fabric. Is this a sign that I should go to Mendel Goldberg? I think it is, especially after I called them to find out their temporary location after a fire shuttered their Hester Street shop this spring. The charming owner Alice Goldberg answered the phone and then had her assistant send me this card. Mendel Goldberg, here I come! They feature Chanel bouclés. I am so there, even if only to look! As for my muslin, I will be working on it again as soon as the Olympics are over. Are you watching the Olympics too? To the detriment of any summer projects you’ve started? I am not getting much done due to the Olympics either. I had grand ideas that I would work on an outline for something, a writing project I want to start, but I haven't written even a single word. Oh well, they will be over soon. May as well enjoy the competitions while there happening! I am oplypic fan, too, I still have sport newespaper issues during Olympics from 198o! Since then, I try to record at least one of these. Wow, good for you! The thread tracing ultimately put me off of this one. For some reason it really intimidates me. I've managed to to complete a different jacket in spite of my Olympic watching, which I hope to blog this week. oooh exciting - looks like things are taking shape. But yeah - Olympics have taken over - don't be too hard on yourself. It feels like the whole world has stopped to watch! 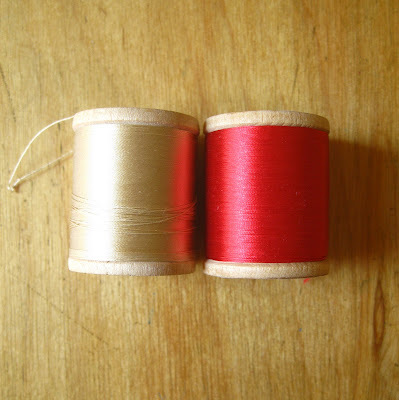 I have been following your blog for about a year now - ever since you posted that black, pink, red + green Twilly. I have the same one and a TohuBohu one, too and I love them. Now I'm curious to what will happen with your jacket. Good luck with that project! I am sure it will be worth the wait, Jill! I think the whole world has been on pause during the Olympics! I am glad they were not on during school...all of my students would have been tired!! It is really coming along! I admire you so much for being able to sew ! I am also an Olympics nut but have been watching less intently since the French have started to win fewer medals (bit of a chauvinist here, I'm afraid). At least, your beautiful Chanel-style jacket will still be there when it all ends ! Ooooh, I just love the "thread" of your journey in creating the muslin. Such an in-depth look at creating The Jacket.